We will be Departing from the CHBC Parking Lot at 7:15am and will be returning to chbc at 6:30pm. The cost to attend Harvest Rally is $15 per person. There is no Travel cost. However, we will stop for dinner on the way home. Please bring spending money if you wish to purchase food. Please fill out the below Harvest Teen Rally registration form before arrival on Saturday Morning. 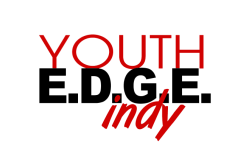 If you have not filled out an Annual Youth EDGE Waiver (june 2015-june 2016), it is available below.